This entry was posted on May 2, 2018 by katiemaselbas, in Uncategorized. Bookmark the permalink. 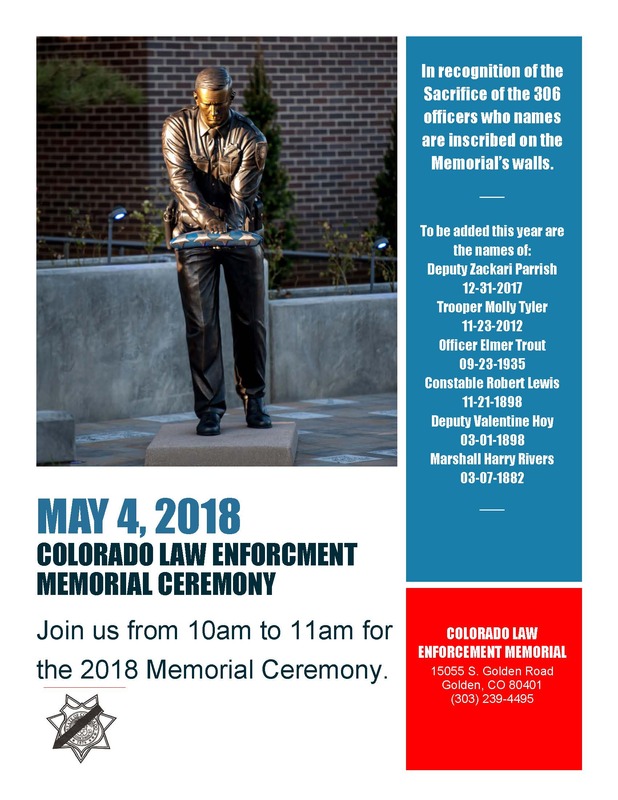 You are invited to attend the 2018 Colorado Law Enforcement Memorial Ceremony on Friday, May 4th, beginning at 10:00am. The ceremony will be held at the Colorado Law Enforcement Memorial, on the grounds of the the Colorado State Patrol Academy. Please join us as we honor those that have given their lives in the service of Colorado.